In the Honda were decidedly tired! 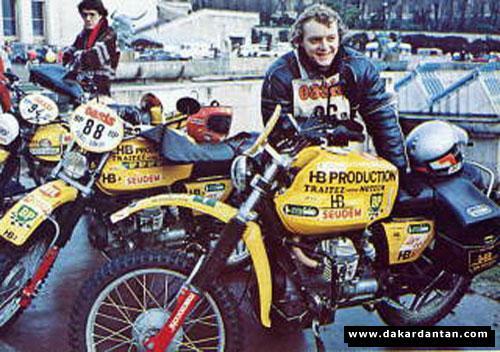 The Dakar was increasingly becoming a media event Planetarium, and the home of the wing at a distance of 3 years had not yet won!! 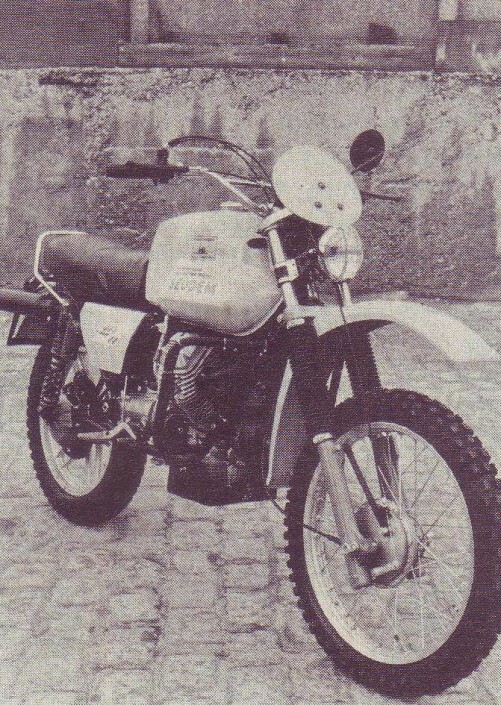 Yamaha twice and once in the BMW were awarded offroad competition of the moment. To attempt the climb to the top of the leaderboard, This time we decided to make things right. For the edition of 1982, in fact the bike came out prepared directly from the R&D Honda. The prototypes will be branded XL only for marketing reasons (the base is in effect a XR) were ready in September and testing continued incessant, 6000 kilometers traveled by Jeep made it possible to develop a reliable and manageable, ready to unleash 4 pilots hired (Neveu, Rafferty, Vassard and Drobecq) African dunes. 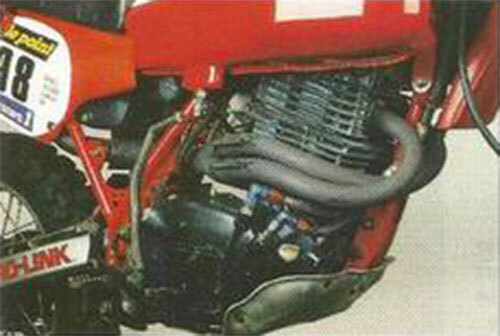 The engine was the classic offset single-cylinder XR led to 550 cm3 which developed around 45 HP, with some tricks to improve reliability, as the oil cooler located below the headlight and protected by a special grid. The Exchange kept the relation to 4 gears with reinforced clutch to resist mistreatment. 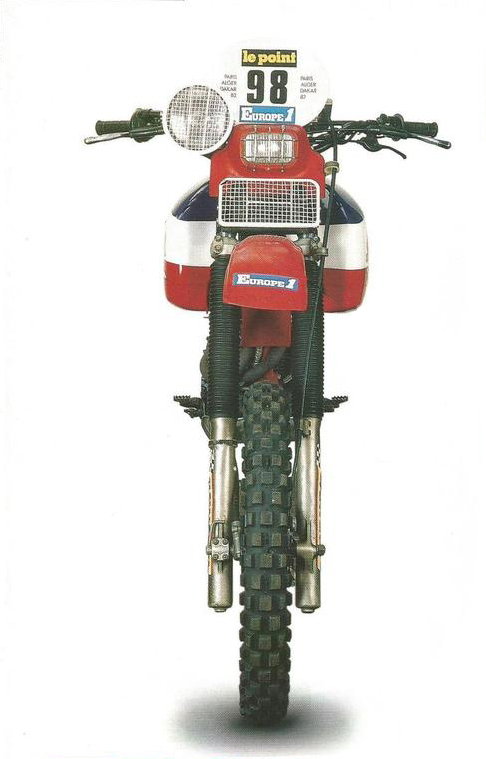 The superstructures were modified totally, the tank kept things classic home colors Honda, but he passed by 32lt to 42lt capacity, This required moving toward the rear of the saddle, It was reduced in size and increased in liner. 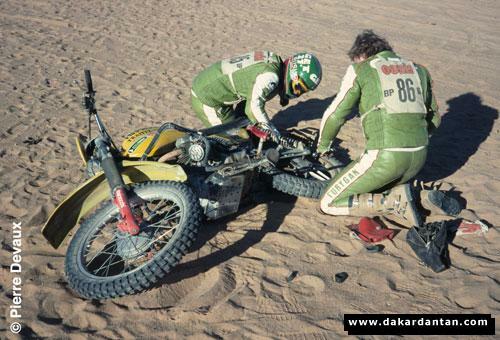 Detail that will make you smile if you read these days, but absolutely not secondary, was the welded plate under the base of the stand to increase the contact surface and prevent burrowing in the sand…This time nothing was to be left to chance! 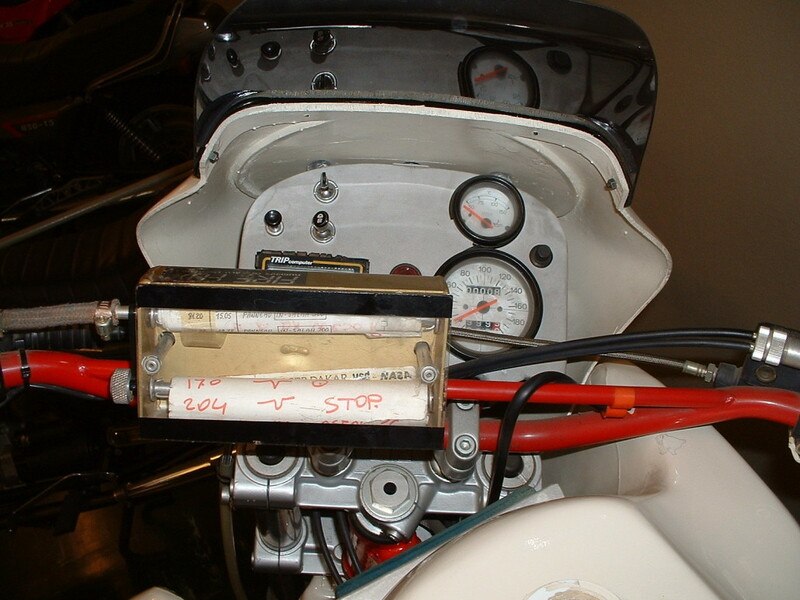 The brakes, both drum, they were made of magnesium, the front one in particular has a dual cam to operate the two jaws and your stopping power. The sector saw fit to rear suspension for the first time a Mono Showa with ProLink system and a couple of front advanced axle forks. 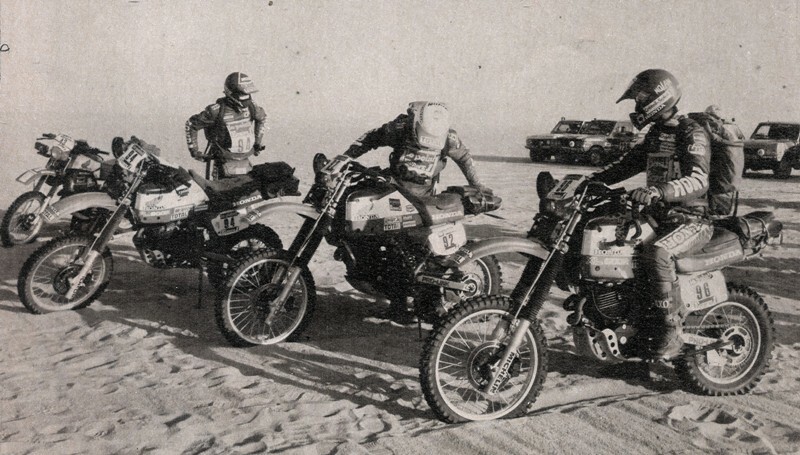 The combination of all these factors combined with the skill of the pilots, allowed a fantastic result for the House Tokyo, Cyril Neveu won the Dakar, Philippe Vassard finished in second place, Bernard Rigoni in seventh, While Drobecq retires. 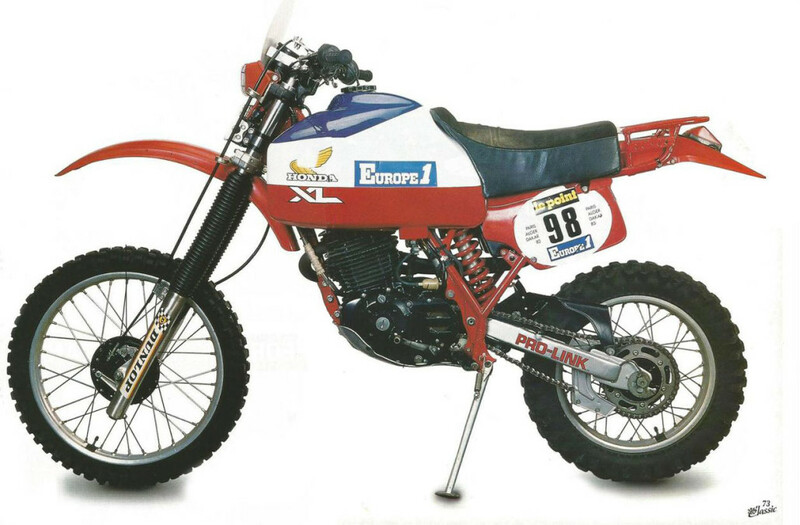 The bike looks slimmer and lighter, only 130 kg dry weight! 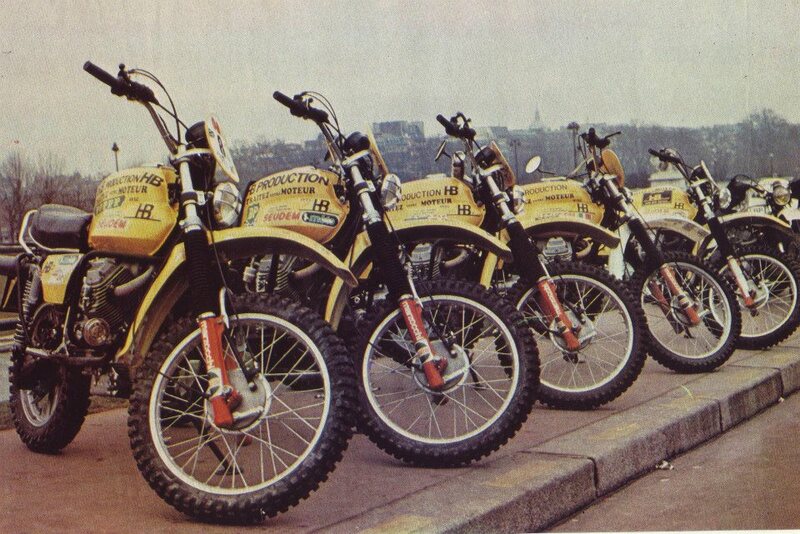 The debut of the Dakar 1979 There were also the Moto Guzzi! 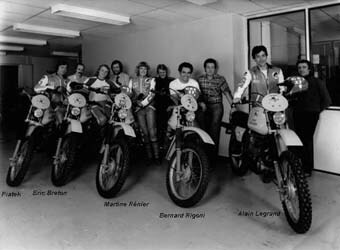 The V50 TT was set up by the French Team SEUDEM, that was five and entrusted its drivers, four men and a woman: Bernard Rigoni #83, Alain Piatek #84, Alain Le Grand #85, Eric Breton #86 and Martine Renier #86. 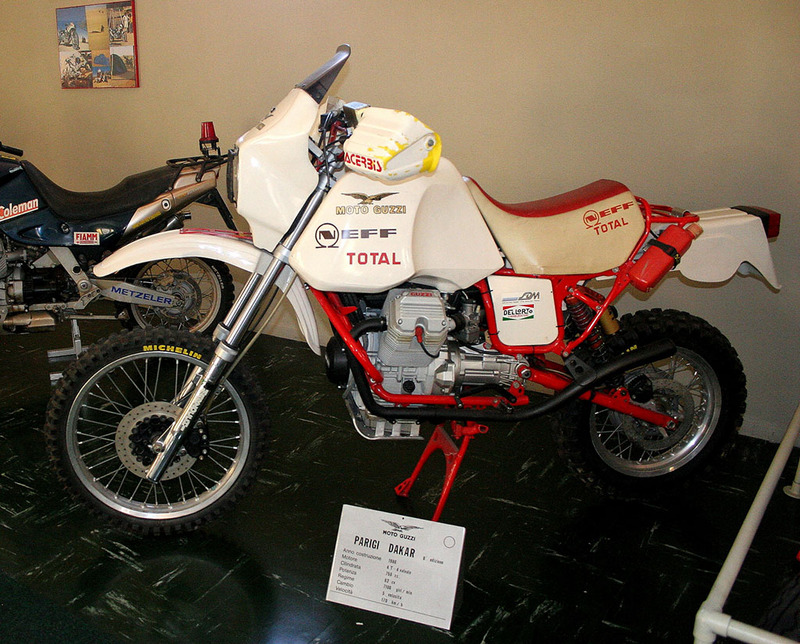 The bikes prepared for the inaugural Dakar had the engine and the transmission completely taken directly from the V50 series. Some parts of the frame in particular were strengthened in particular the V50 attacks the anchor points of the shocks on Wishbone. 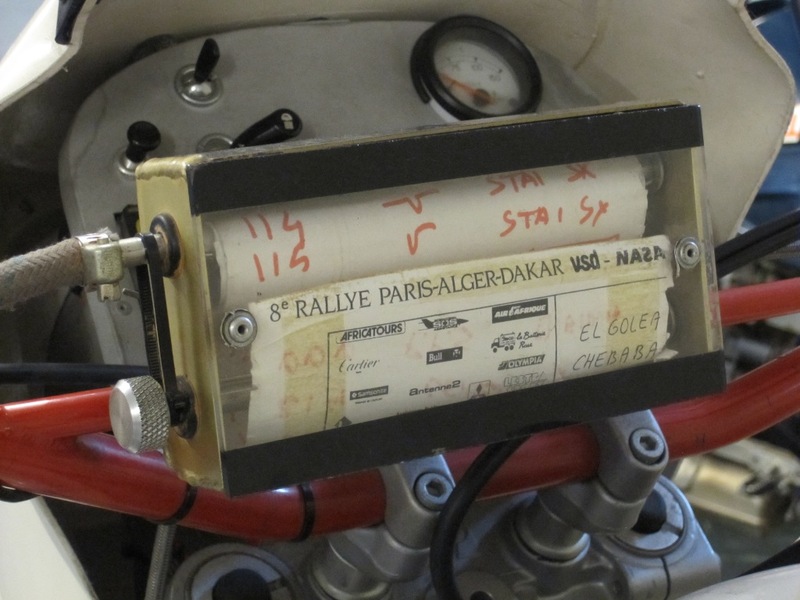 The drains as from prototype passed between the two cylinders under the tank, trend that had to put away the collectors from bumps and scratches with stones or other (We can only imagine the temperatures that could reach the canister and gasoline!). 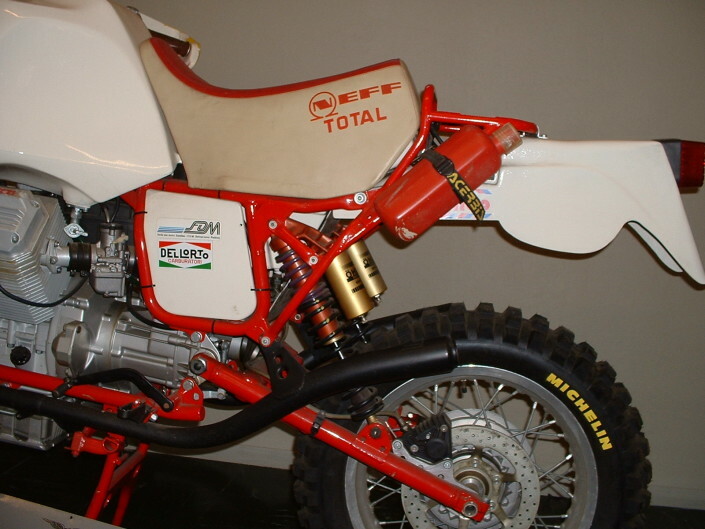 The fork was a magnesium with Marzocchi 240 mm stroke. 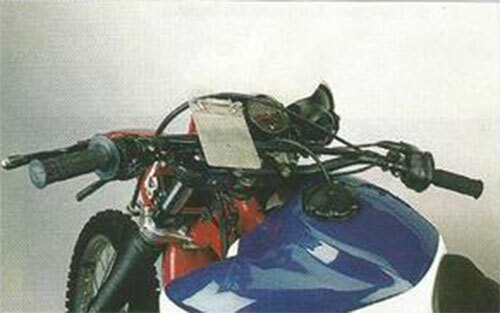 The front wheel is an Akront, While, paradoxically, the latter one was to road model series alloy! 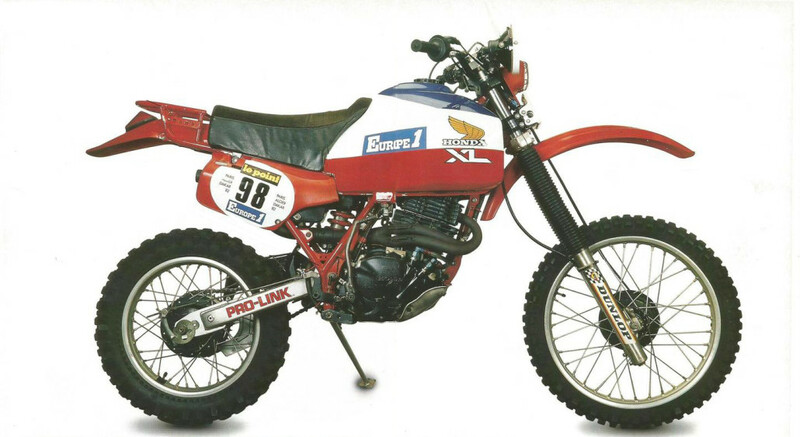 Rear shocks were the Marzocchi gas 105 mm of travel. 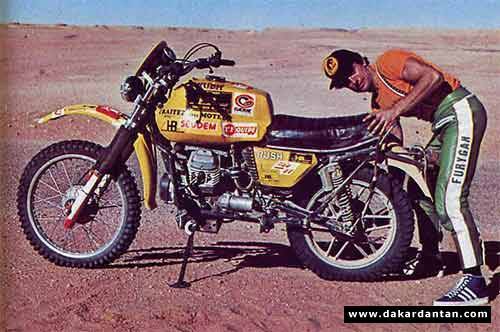 The tank was borrowed from model V7 Sport and had 30 liter capacity. 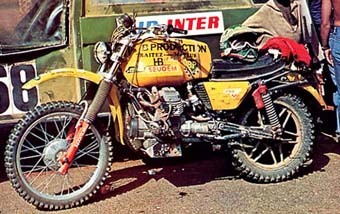 One Moto Guzzi, of the five matches he arrived in Dakar. 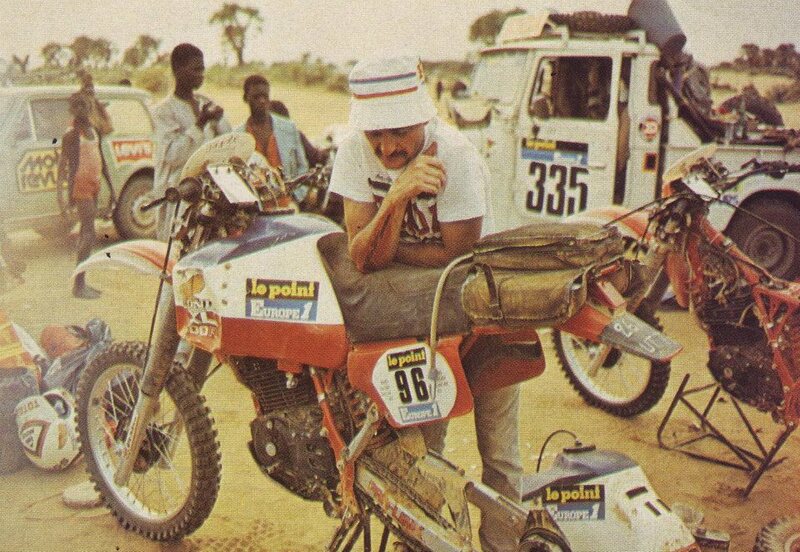 Bernard Rigoni is the pilot that will be classified 48° on 74 come to the end, very good result considering that in the Edition 1979 the ranking auto-moto was unified. 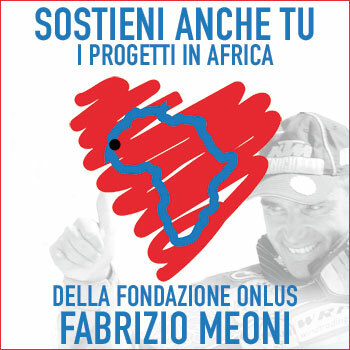 http://www.parisdakar.it/wp-content/uploads/2015/08/1379535_10202247470658296_255974762_n.jpg 641 960 iron http://www.parisdakar.it/wp-content/uploads/2015/11/new-logo-PD-300x65.png iron2015-09-04 13:15:042016-01-04 17:04:47The debut of the Dakar 1979 There were also the Moto Guzzi! 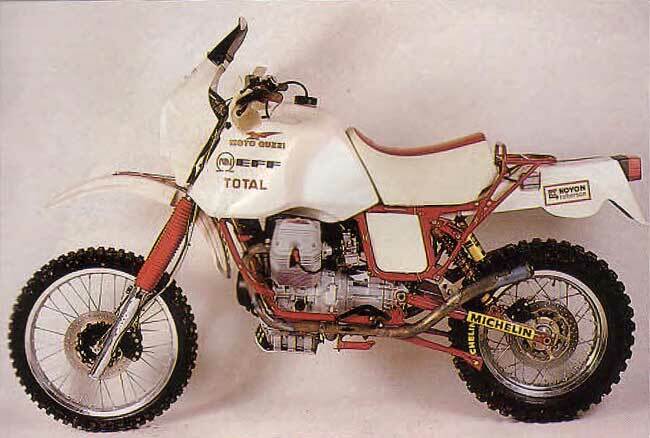 And’ the 1986 and at the start of the 8th edition of the Paris Dakar also involves a host of Moto Guzzi notoriously thick card, engine 4 valves of V75 and about 62 BHP made the bike of Mandello del Lario to achieve 170 km/h. 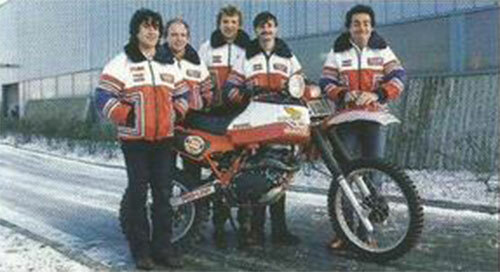 Official team followed by the French importer, the pilots were the Italian towers and the French Drobecq and Rigoni. 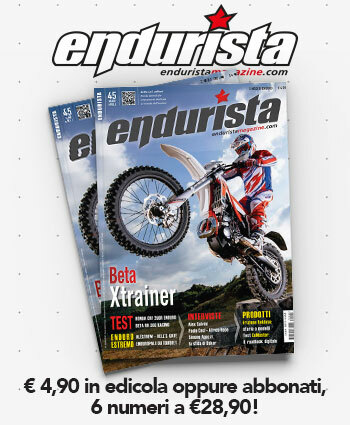 The bike seemed to be having a good potential: You comportatò well in the prologue, but then he was plagued with reliability problems. 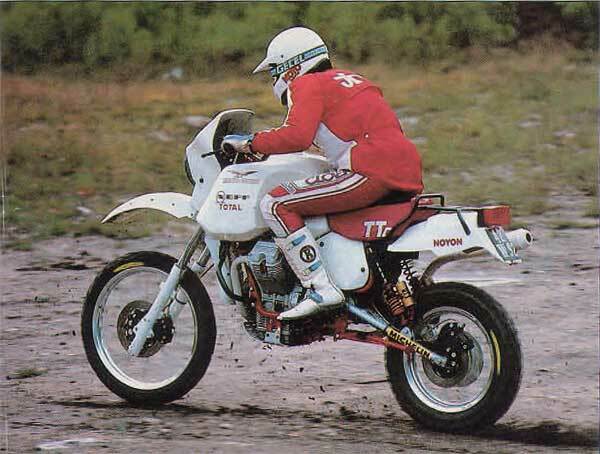 In parin particular suffered from frequent transmission problems, especially the gimbal probably undermined by the kinematics of the suspension.